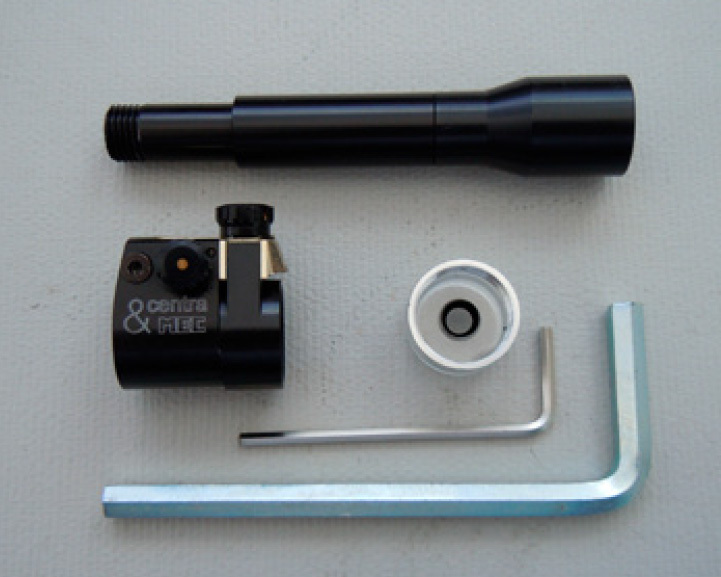 The Centra Duplex rear sight attachment is relatively new to the market, I first came across it when my friend returned from an International competition in Germany sporting one on his rifle. For those of you who have not seen one, it adds an extra sight-ring forward of the rear sight. When set up it clearly shows if you have your eye in correct alignment with the rear aperture. Within a week or so of seeing my friend’s, I noticed that both Intershoot and Edinkillie have them on their web sites – I ordered one. As my friend’s rifle has the same base ans a similar 22mm foresight I ordered the same sight ring, which was the largest available, together withthe Lens Hood 2 to fit my Anschutz 7002 canting rear sight. Just days later it arrived, opening the packaging revealed the three main parts plus two Allen keys and, as is normal for most items from Germany, no instructions. It doesn’t take a genius to work out how to put it together but it really would make the process a little easier. I admit when we do have instructions to hand most men prefer to do the job without them, initially but, have to revert to them once we’ve made a complete bog of it. Anyway the lens hood is screwed into the rear sight from the front, it shares the same thread as the aperture sight. It’s then locked in place using the large Allen key, which will just reach lengthways inside the tube of the lens hood. Then having slackened the small Allen bolt on the Duplex, it is slid into position on the lens hood. Before locking it in place, it’s axis needs to be aligned with the adjustment axis of the sight, once done, the Allen bolt is nipped tight. Next, the ring sight is screwed to the front of the Duplex. Once mounted on your rifle then need to adjust the ring using the little knobs on the Duplex so that it is centred on the foresight. I have since found that the Duplex can be slid forward and backward about larger or smaller. 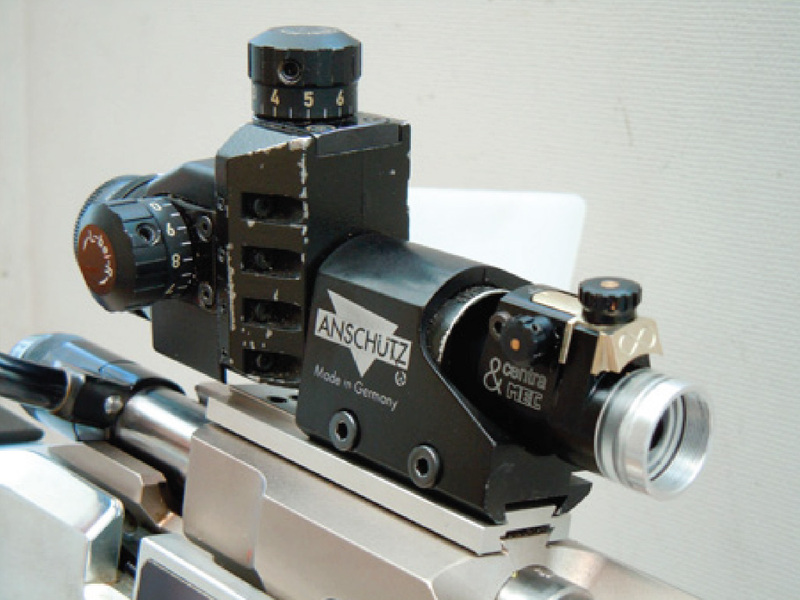 Getting down in position, if you have your cheek piece precisely in the correct position then when you look through your rear sight the new ring will be centred in the iris but, if like me, the cheek piece is ‘out’ then you will be forced to adjust it. I’ve been shooting for nearly 20 years and I was quite surprised to realise how much my cheek piece was out. Once you have the cheek piece set every time you sight to shoot you should be looking dead centre, so the theory goes but, in practice, our bodies being made of squishy change from shoot to shoot and during a shoot. Throughout all the Duplex ensures that your eye is correctly centred. I also felt that it helps in maintaining a consistent cheek pressure on the rifle. At my club, Leicester Rifle and Pistol club (I’ve gen them a plug because this is the Disabled Shooting Year and the facilities for disabled people there are very good), I used a bench rest to take a couple of photographs through my rear sight (very difficult) which show the sight picture you get – one is close to dead centre the other is slightly off to one side. As you can see, any error in alignment and the view around the larger duplex ring is very evident. In practice it’s very easy to see and make very small adjustments to position so that my eye is dead centre, eliminating any error that may creep in. Having used the Duplex over a number of shoots I’m very pleased with the results, it won’t be removed anytime soon that is a fact.